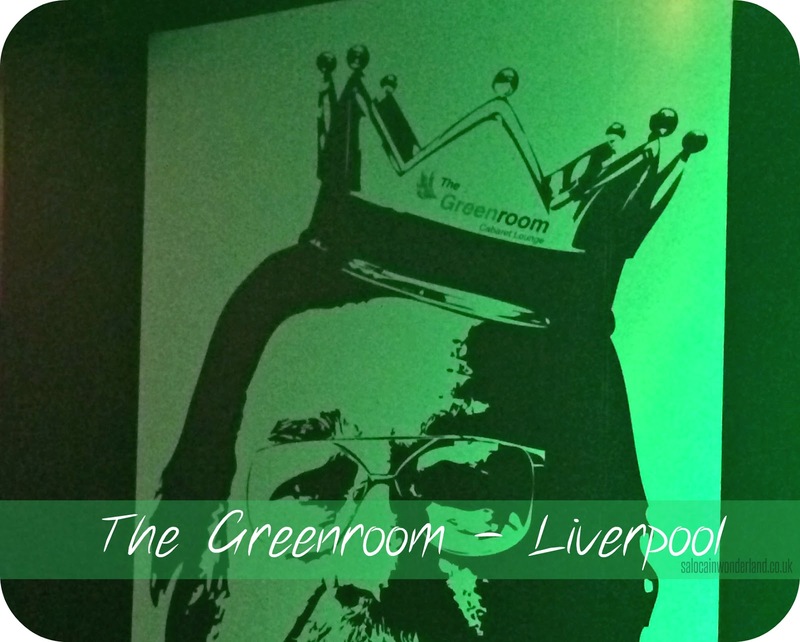 Way back at the start of the year, the ladies and I booked ourselves a cheeky little night out at Ricky Tomlinson's The Greenroom, located on Duke Street, Liverpool. The Greenroom is a 250 seater intimate cabaret lounge, inspired by those you’d find along the Las Vegas strip! We had tickets to their very popular Ultimate Divas night; Tina, Diana, Aretha and Whitney, I threw on my dancing shoes and got ready to get rollin’. 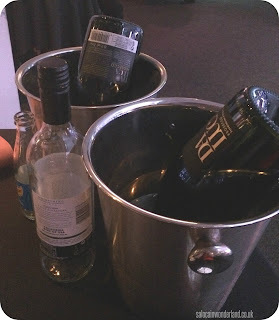 We were greeted on the door with a glass of bubbles and taken to our table by a young guy who is actually a student across the road at performing arts college. Turns out all the bar/waiting on staff who work at The Greenroom are performing arts students! I love this idea, and they all get the chance to get up on stage and hone their skills, as well as working with some seasoned professionals. It’s table service for the drinks, great if you don’t want to be tottering to and from the bar all night! As the night went on we never struggled to order another round and the guys and girls serving us did a fantastic job! The lights dimmed, Ricky came on and got us all warmed up and ready for the show. First up was a young lad from the college with a quiff to rival Kenickies, who belted out some Buddy Holly-esq tunes. I can only imagine how nervous he must have been, but he did a brilliant job! Then, it was onto the impersonation/quick change act. Oh, me oh my! I was crying with laughter by the end of this show. His personations were spot on and he did a lot of improve work too. He re-worded some favourite songs and had us singing out-loud with some interestingly adjusted lyrics! 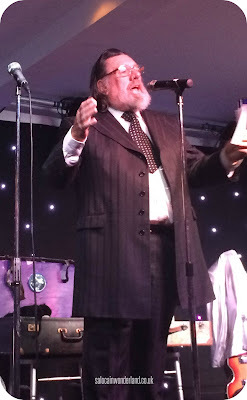 After a quick break, we were treated to some amazing cabaret by Steve Charles. His voice was belting, he got down on the dance floor and got everyone involved, including a room-wide love train. 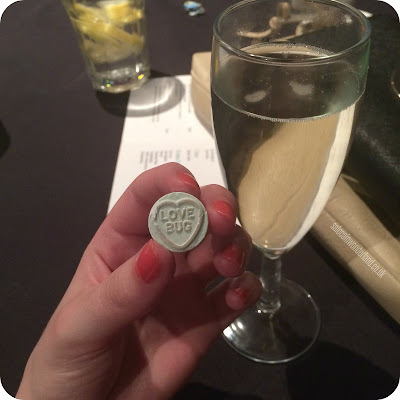 One thing you’re encouraged to do is get up and dance, so dance our little socks off we did! I’m sure I’ve seen him on tv or something before too. After another break, it was time for the headliners to take their place on stage and show us what being a diva is all about. 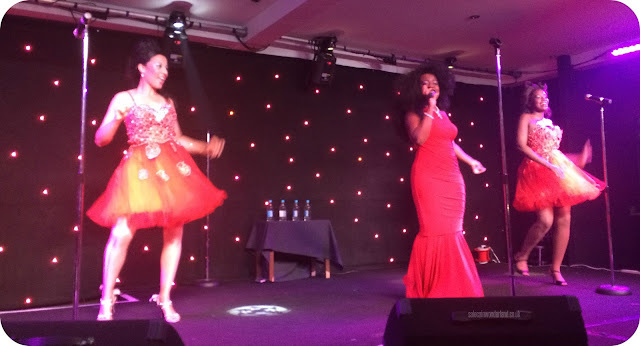 The ladies were fantastic, they belted out show-stopping numbers that we all know the words and dance routines for. Their costumes glistened under the lights and the energy from the stage could be felt in every corner of the room. How can you sit down when Tina is up there singing rollin’ on the river? It’s impossible! (I bet that songs stuck in your head now too!). The show started at 8 pm and didn’t finish till long past midnight. From start to finish it was pure entertainment, from singing to dancing, laughing, crying, dancing some more and having a genuinely good time. From couples to groups, hen parties, birthday parties, they where all in The Greenroom on Saturday night and we all stepped out into the rain grinning and still dancing. There’s shows on most weekends, but they sell out fast! I’ve got my eye on the Take That tribute show, as well as Ultimate Boy Band Legends! 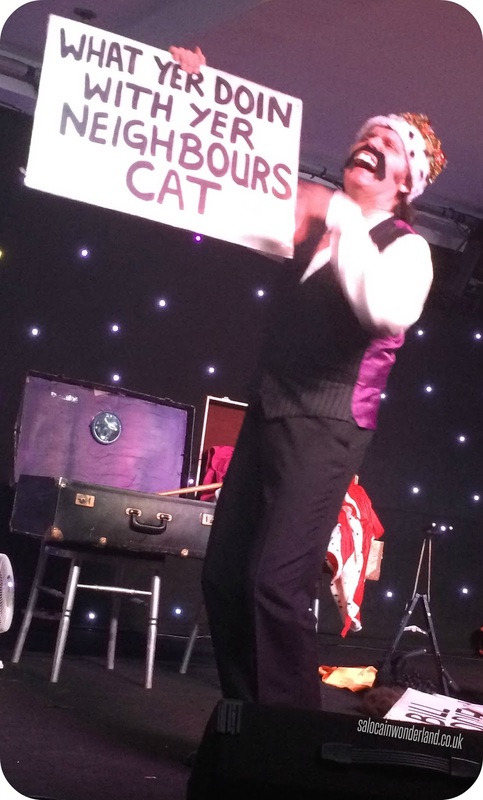 What’s the best tribute act you’ve ever seen? Let me know in the comments below! It was brilliant! I really want to go back! This looks like a soooo much fun!! You look beautiful in your outfit! You should so do a hair tutorial! My curls lasted less than an hour! *cries* damn forever straight hair! If I ever do something magical (or sacrifice a small human) to make them last the night I will be sure to share the secret! 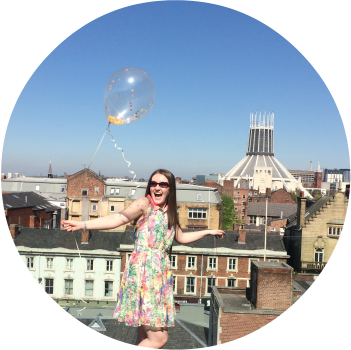 I couldn't believe how long we ended up in there, and it got HOT! So hot! But that could have had something to do with all the dancing and the bubbles haha!